Stay grounded with GridX – the eco-friendly system of permeable paving grids made from 100% post-consumer recycled plastic. As a natural alternative to asphalt or concrete, GridX is perfect for parking lots, driveways and animal paddocks. 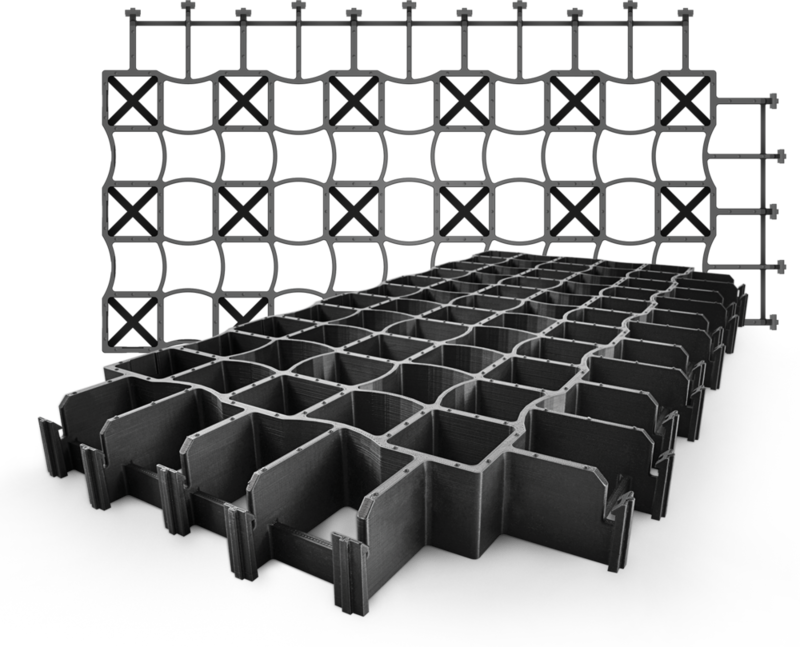 The porous grids stabilize the soil – eliminating potholes, ruts and mud – and allow water to permeate the ground, creating a flexible and durable surface for vehicles and pedestrians.